NeuAc synthetase route . 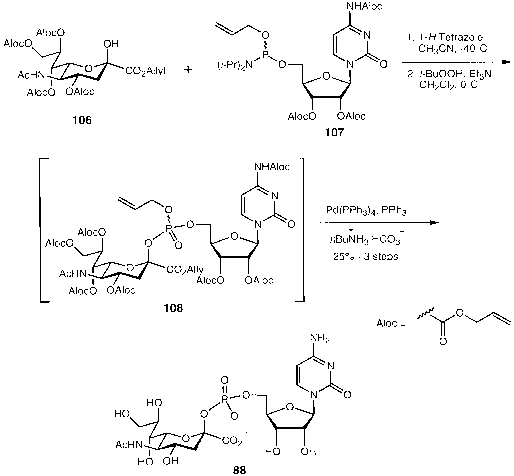 The relative rates of these C9-modified CMP-NeuAc derivatives shown in Scheme 30 were compared against the natural donor CMP-NeuAc in sialyltransferase assays that utilized enzymes from different sources with their appropriate natural acceptors. The rat liver a-2,6-sialyltransferase tolerated a wide range of functional groups without significant decreases in the relative rates. Synthetically useful relative rates were observed for most of the CMP-NeuAc analogs with porcine sialyltransferase and rat liver a-2,3-sialyltransferase. 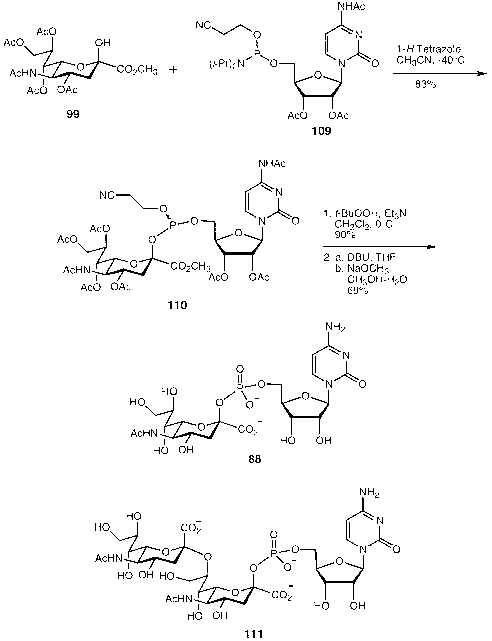 The exception was the 9-amino analog, which was a poor substrate for both enzymes. 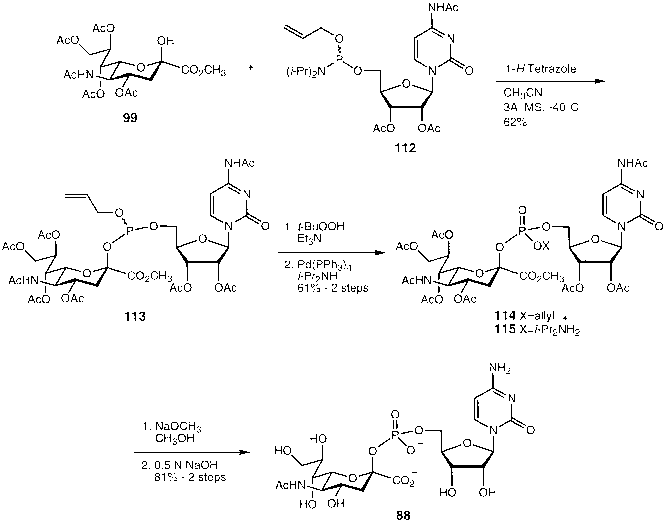 Overall, these assays demonstrated that a wide variety of modifications at the C9 position are tolerated by these sialyltransferases.